Is your GIS data stored in postgreSQL Database? Are you looking to export that postgreSQL data in shapefile and further use in different way. It is directly possible with Pgsql2shp command which is directly available with postgreSQL system. In this article you will directly understand the way to export Shapefile from postgreSQL with pgsql2shp tool. 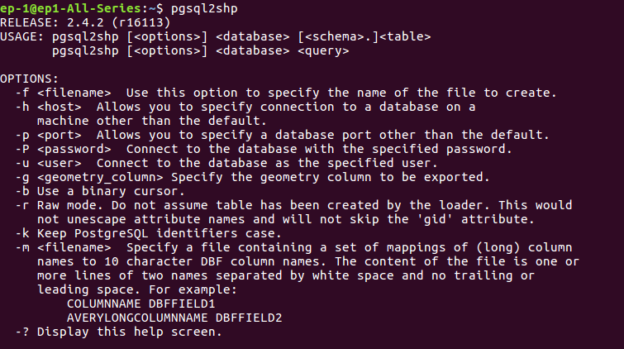 Pgsql2shp (postgis to shapefile dumper) is command that provides shapefile and takes query as input. The geometry column should be present when running the postgis query. You need to download zip file to run pgsql2shp. You can download pgsql2shp tool from any authentic website for mac, ubuntu or linux system or windows. 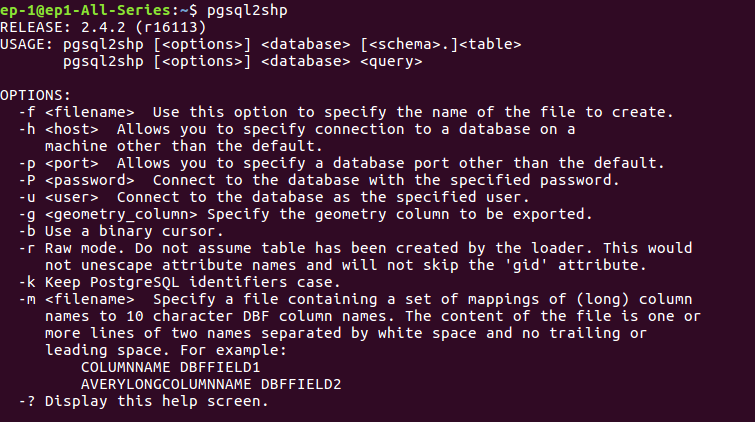 Similarly you can import the shapefile in postgresql using the command line tool shp2pgsql. Here we will check pgsql2shp tool that can be used either with command line or with php language. Similarly you may connect to postgresql with server side language and use pgsql2shp. geometry column to use when writing the shape file. -r Raw mode. Do not drop the gid field, or escape column names. from postgis-1.0.0+, dimensions are fully encoded. -k Keep identifiers case (don’t uppercase field names). -? Display version and usage information. We have used codeigniter to execute the query and export the postgis data to shapefile. The scenario is very simple. 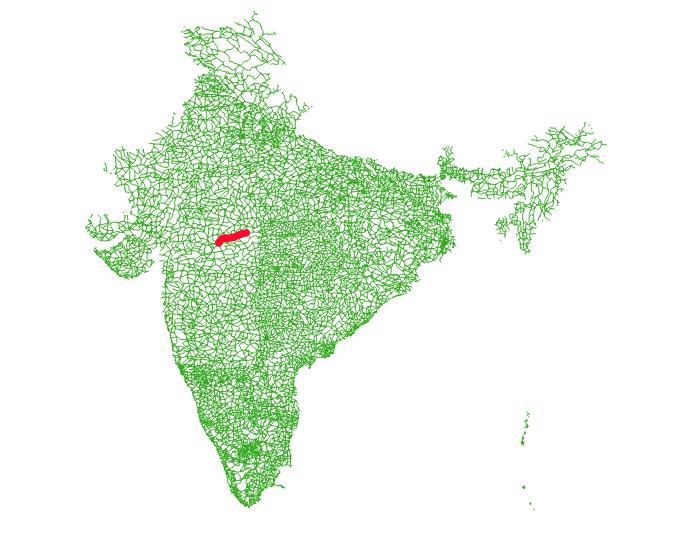 We have a Road shapefile of a country, where we want to find the distance between two cities or points and render the same on map. For this, we have used pgr_dijkstra() alogrithm and find the shortest path. The shortest path output is collected as shapefile and rerendered on map. There are many ways to render the shortest path, just to understand pgsql2shp we used this one. Here queries are written in PHP, where $start and $end are the variable here. We have written query to take starting and ending point for finding shortest path. This command is normally executed in terminal as written above, but we can execute it in code shell_exec() method from PHP. This will produce a shapefile, where we have rendered the same as you can see in the output. I hope this article might have helped you in convert and export shapefile from postgreSQL with pgsql2shp tool. If you find any problem in implementing the steps, let me know via comment, so that we can solve the same.